We want to thank everyone that joined us for our Southern Wedding and Event Style Showcase on June 10th – it turned out to be a very marry occasion indeed and we were thrilled to show off the many talents of some of Nashville’s best wedding pros. They transformed our outdoor garden venue into a romantic, detail-rich event space – perfect for a celebration of any sort. 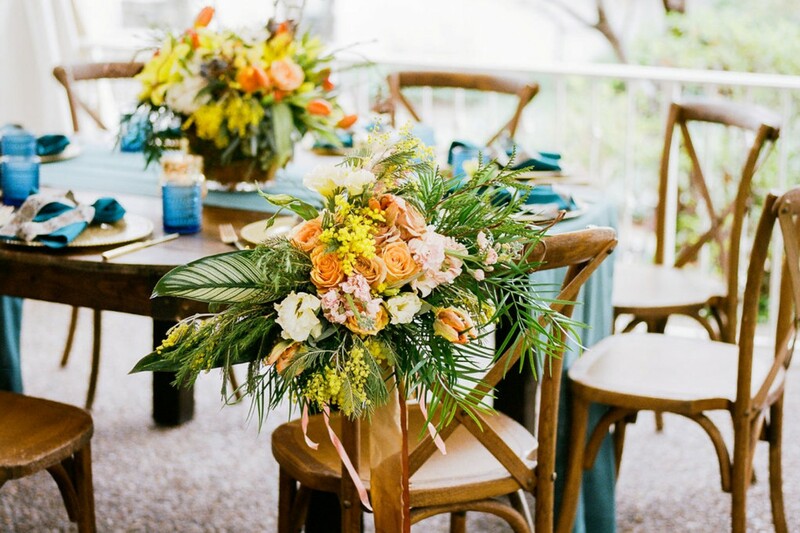 Southern Events Party Rental Company helped us lay the foundation with their White-Washed Farm table and Gold Chiavari Chairs but it was the Enchanted Florist who really pulled out all the stops with their gorgeous table arrangements. The mix of corals, pinks, and white blooms was stunning and those giant peonies – love at first site! Delicious food and drink were provide by the crew from The Bake Shoppe and A Catered Affair while guests enjoyed the music and photo booth courtesy of Premier DJs of Nashville. Despite a few nagging showers the final look was superb. Big thanks to Amy Nicole Photography for her breathtaking photos – we are so thrilled to share them with you here. Enjoy!